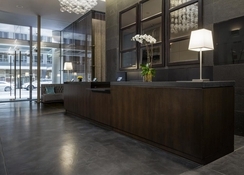 Cassa NY Hotel and Residences, located in Midtown Manhattan, is a contemporary hotel in New York City with an advantageous location and good connectivity to rest of the city. The comfortable, upscale hotel in a posh neighbourhood has rooms that offer excellent city views. 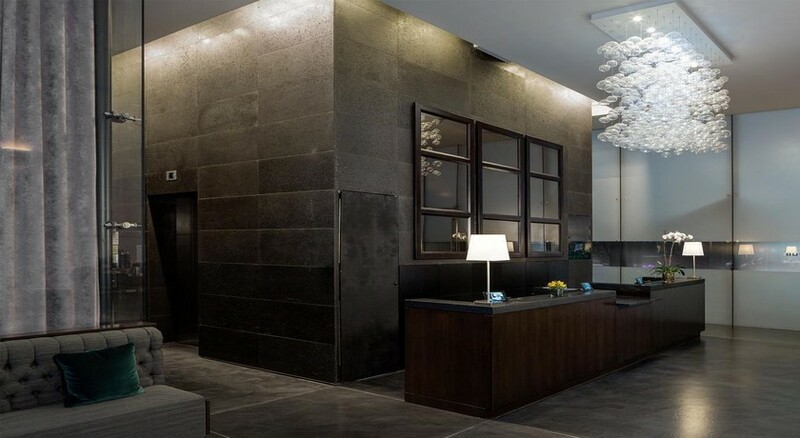 This boutique hotel is barely 15 minutes by walk from the busy Times Square. Offering tourist-friendly amenities like around-the-clock fitness centre, same-day laundry and dry-cleaning, this hotel is perfect for business and leisure travellers alike. The hotel does allow pets to tag along with their owners. With 165 soundproof and comfortable rooms, excellent restaurants and a great location, the hotel is an ideal choice to stay in NYC. Cassa NY Hotel and Residences is only a few minutes from world-famous New York attractions such as the Bryant Park, Rockefeller Centre and Madison Avenue. Guests can walk to Broadway, about five minutes away, to see the latest musicals or browse through exhibits at The Museum of Modern Art. 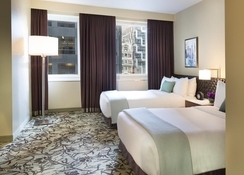 The hotel is 750m from the Penn Station whereas the Jacob K. Javitz Convention Centre is 800m. The adjacent Hell's Kitchen is a bustling neighbourhood for travellers interested in sightseeing, theatre and entertainment. The LaGuardia Airport is about 15km from the property. 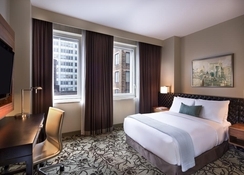 Cassa NY Hotel and Residences offers 165 soundproof hotel rooms furnished with all modern amenities. The rooms come furnished with 42-inch HD satellite TV, work desk with ergonomic chair and Keurig coffee & tea making facilities. 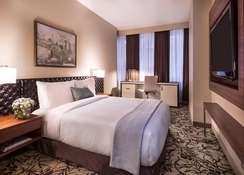 The spacious rooms offer ample room for pets and their owners (charges apply). If travelling with family, ask for the One-bedroom Suite with separate living space. There is a bathtub to soak and relax in after a hard day’s work. Cassa NY Hotel and Residences offers guests a complimentary hot cup of coffee at the lobby along with the day’s newspaper. Guests can stop by Butter, a stylish restaurant adjacent to the hotel, for cocktails and an upscale American dinner. The hotel is very close to several upscale eateries in Manhattan. The hotel has a sun terrace with nice views of the Manhattan skyline. There is a 24-hour fitness centre where guests can work out. Most of the Broadway theatres are only five to ten minutes away and the hotel offers a helpful ticketing service. The MoMA, half a mile away features almost 200,000 pieces of modern and contemporary art and is a top tourist attraction.